Flares Wizard is an add-on for creating realistic lens flares quickly and easily in Blender/Cycles. This is the free version of the add-on, if you like it and want to support my work, you can purchase the paid version from the Blender market. The only difference is the number of presets. Real-time preview: Design and see the result in the 3D viewport. Super fast rendering: it needs only 1 sample! Custom presets: 10 presets in the free version, 32 in the paid version. Save, load: you can easily save your creation and reuse it any time, or even share it. Animation ready: The add-on generates an advanced rig to control the lens flares. Camera border detection: if the lens flare is no longer visible by the camera you can make it fadeout. Obstacles detection: when the lens flares is obscured by a 3D object it will disappear. Blinking : make the lens flare blink. You couldn’t download the zip, or you didn’t find it in your computer? well I clicked the download-button and received a folder with four .py-files, one Manual-pdf and two folders (elements and presets). No zip-file was found. So I tried to “install from file” in the Blender User Preferences each of the .py files that showed up, but without succes: unfortunately the Flares Wizard – add-on did not show up in the add-on-list in the Blender User Preferences. What am I doing wrong? Don’t extract the zip file, just install it as is. EDIT: maybe the zip was automatically extracted (i don’t know about the MAC OS). If so, just compress the folder Flares wizard then install the zip file. Fore sure, I will purchase the paid version soon. Thanks for that add-on und good luck with it! I purchased the full version, but was having trouble with it, i.e. also tried just installing from the zip, but no luck). (> Preferences > File > Auto-Run Python Scripts). I will enjoy working with them and animating them. Glad that you figure it out, i will try to make it more obvious in the next version. BTW, how do you turn on “Obstacle Detection”? To use the Obstacles detection you will need to enable “Use obstacles”, then select the objects that you want to use as obstacles in the 3D View, then hit the “+” button under “Use obstacles”, it’s explained with more details in the manual. NB: Only Mesh objects are supported. True, almost all the numerical inputs are animatable, i usually animate the intensity, scale and the color of the flare to get different effects. Sorry, I didn’t find a manual….is there a link? I found the manual (pdf) in the download zip. hi when i add the preset flares i am getting black boxes in the render can you help? To fix this just increase the max transparency bounces. it’s located in the render tab under “Light Paths”. It looks like a great addon…however… I am having issues with the black borders around each element of the lens flare. I changed the transparency bounces and it hasn’t helped… Is there anything else I am missing? First time to hear about that. Is it just happening in a particular scene? or all the time? I’m having trouble too. When I get this problem, it seems to occur when I enable the flares when I’ve already got a scene made. I tried it for a project and I am really happy. One thing I do not get to work is to render the lensflare with the option “render/film/transparent” on a separate layer with no background. If I check the transparent option the renderlayer remains an empty transparent frame. 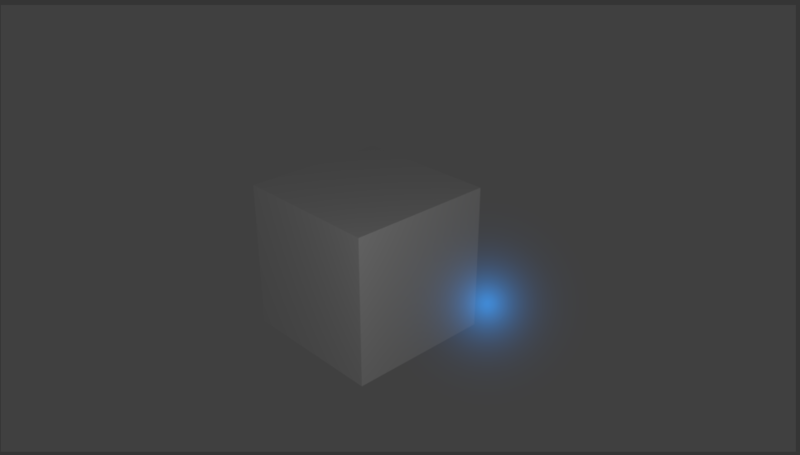 I think it’s a bug in Blender when adding a Transparent and an Emission shaders. There are two work arounds that you could try, the first is to add a black background in the Lens flare render layer, then composite it on top of the other layer(s) using Add or Screen. The second is to use this node tree. Hello, to get the obstacles feature to work you will need to bake the animation of the Camera if the parent (the bone) is animated. Also, I do have a question. Is it possible to connect a driver to control the overall intensity of the flare? I have a light in the scene that has animation on it and I want to link it to that. If you have any thoughts on that please let me know. Thanks and awesome job. Ahh, I figured it out. Some basic stuff. Great work Tim, keep it up! Great Addon! Such an improvement for my workspeed. in my opinion there could be more randomisation modulators. I.e. in the stargenerator the x and y size, the spacing between the rays or random intensity. In some point during the development of this addon i decided to stop adding options, because there is already a lot, what makes it look complicated. Actually, some people complain about the complexity. For your second note. It’s Blender not updating the scene correctly, to solve it just change the current frame, you can use the shortcut (Left Arrow/ Right Arrow). Please add more options, it is amazing! It may be a bit confusing at first but once you get used to it, it is so helpful and I wish there were more fetures! You need to enable Auto Run Python Scripts. That’s a really nice add on I’m buying the paid version right now! Great addon! I will go ahead and produce a few Star Trek remakes! I ran into a problem, I’ve opened my blend file where I previously added a flare to continue working on the project and came to find that the flare now Renders as Purple boxes of different shades. It also happened when I took my .Blend to a friends computer to work on the project. It’s the way Blender works, the image textures have a path within the computer, if you delete an image or open the blend file in a different computer, the paths to the images will no longer exist, and you will get the purple color. Now I get it, Thanks for the help. Will be putting in a purchase for this here invention of yours and will definitely be looking out for any future addons. Thank you for this, love it, and super useful in my Ministry work. Please make a new tutorial, talk in it, for beginners in mind as well and tell people to turn on auto run python script as many are giving up on this because they don’t know that’s needed. For the tutorial, unfortunately i can’t, because my english isn’t good enough. I really want to use this addon, it looks amazing. What am I doing wrong here?? First of all, thanks for your support! As for the issue that you are describing, i can’t really tell what’s the cause. Could please provide me with a blend file that contains the issue, via the contact form in this website or the Blender Market support channel. Scale up the camera by a factor of 10 or so. I suppose that the language in your Blender isn’t English, if so, In the User preferences -> System under International Fonts, disable “New data”. Hey, I have a question. How would I send a project using your Flares Wizard plugin to a renderfarm? I tried sending earlier but the lens flares weren’t showing up. It might be because I sent the blend file only. I’m not sure how I need to pack it when I send it off to sheepit renderfarm for example. 1. Since the flares are in the 3D world, they get affected by the camera’s DOF settings. Real flares take place in the camera lens, and don’t get impacted by DOF. Any workaround for this? 2. When disabling the eyeball for individual elements, rendering still keeps those elements on. I had to manually delete the elements to ensure they wouldn’t show up in the render. I’d hope that I’d be able to keep the elements for experimentation, and simply use the eyeball to disable rendering. Is this a bug or by design? 1- The lens flares are 3D geometry, so they will be affected by the DOF, the workaround is to render the lens flare separately without DOF on a black background then composite it with your scene. 2- It’s by design, just to hide the element in the viewport, to hide an element in the render set its “Intensity” to zero. Excellent. Thanks for the quick feedback and thanks again for a very welcome addon! To get rid of the alpha transparency artifacts in larger scenes, scale the camera up. I scaled by 10 and the artifacts disappeared. Hope this helps someone. Great job but i have a probleme with “Use Obstacles”. However light source are behind my planet with “Use obstacles” activated but a lens flares appears. Could you please provide a blend file, you can use the contact form in this blog. When I want to load up an alternate style the thumbnails only have one flare type, however I can click through to all of the others in the menu. How can I get the thumbnails to show more styles? Also, can I load a couple styles up and switch between them? Or do I have to save my own preset and load the alternate style? I didn’t fully understand your issue, but i guess you are talking about presets, right? This tutorial demonstrates how to save a preset. Thank you very much for this fantastic Add-On! It’s awesome and I searched for someting like this for quite some time. I will play around with it and then purchase it. After much testing I can confirm that as the distance from the camera to the flare object increases, at some point no amount of increase in light paths will eliminate the “black edges” transparency issue. To get rid of the artifacts , scale the camera up. I would say it is broken with blender 2.79.. While loading old blends created with 2.76 the newer blender does not show all the lensflare objects but displays on top “Auto-run disabled Driver ‘.bond/2’ ” … I can click “Reload trusted” and select revert to get all elements displayed. Hi, I have a problem with this add on. Every time I add any element, this shows up. Could you help me to solve it? Thank you. Hi, when not using the english language, this problem happen. To fix it: In the User preferences -> System under International Fonts, disable “New data”. Any plans to port this project for 2.8? It is a great tool and it would be perfect having this feature for EEVEE! Thanks for this awesome creation. Plus one from me, please!! 1. Zip selected to install (as the Tutorial says, no extraction). 3. I have Blender 2.80 beta. This is the very latest version available at this moment. Now what to do, please? The add-on is not updated to Blender 2.8 yet, it works only with 2.79 (the stable release). Previous Previous post: Welcome to Code of Art !